Rachel Edwards is an associate at the Firm. Prior to joining the Firm, she served as a law clerk for Chief U.S. Bankruptcy Judge Bill Parker of the U.S. Bankruptcy Court of the Eastern District of Texas. Rachel graduated from Vanderbilt Law School in 2016. 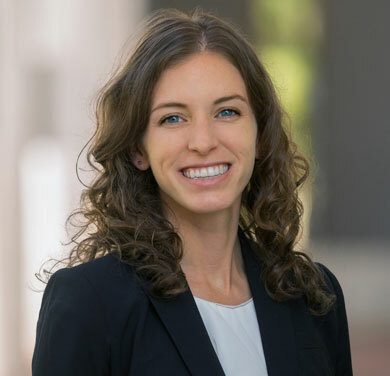 While in law school Rachel interned for Judge John T. Nixon at the U.S. District Court for the Middle District of Tennessee and worked as a Teacher’s Assistant in Vanderbilt’s legal writing department.